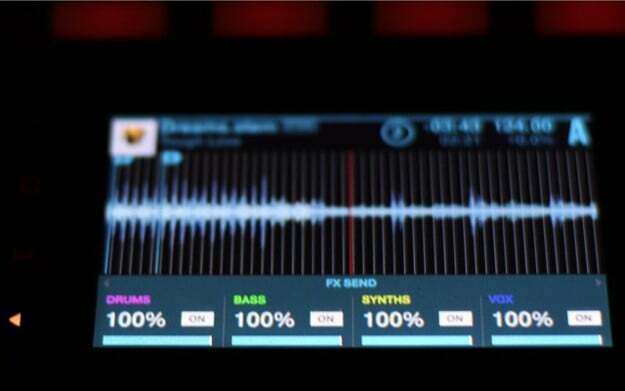 Native Instruments, creators and proprietors of Traktor DJ Software, have announced a new open audio format entitled ‘STEMS’ rolling out in the upcoming months. Introduced in Miami at last week’s Winter Music Conference, Stems primary goal is to make more aspects of music available for manipulation, whether in the studio or in the booth, by DJs, Remixers, and Producers alike. For example, four “Stems” (bass, drums, melody, vocals) exist within each file, which can now be accessed and modified as individual elements. Each stem file, which ends with stem.mp4, contains a single stereo mix and all 4 parts. Though larger than an MP3 file, they average 70mb. Packed in the widely supported MP4 compression format, a stem file can be previewed in most media players including iTunes, Finder and more. With this format, a DJ could then mix these individual stems, instead of an entire track, by using volume and EQ. Stem files will be accessible on Native Instruments Traktor DJ Platform over the summer 2015 with more information being made available in June with the launch of a special website dedicated to resources and information on the Stem format for producers, developers and labels.